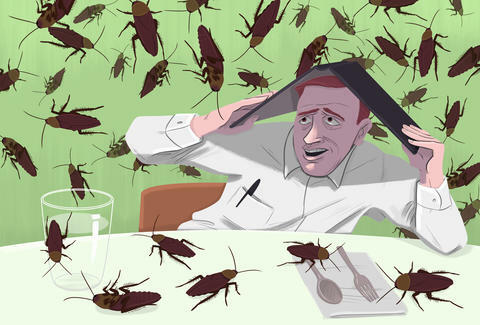 Unless Pixar releases a movie where anthropomorphic cockroaches begin cooking delicious French stews, no one is ever going to be happy to see one in a restaurant. But hey, a rain of bugs on your fancy dinner at least gives you a good story. Or a terrifying one, like these tales of culinary terror from a recent Reddit thread. Come for the roaches. Stay for the potential serial killers. Comment from discussion What was the worst restaurant experience you have ever had?. Comment from discussion What is the worst experience that you have had in a restaurant?. At least wait a little to steal their credit card! "I'll be your server today, my name is The Internet"
Was the waiter a 10-year-old? Lee Breslouer is a senior writer for Thrillist, and never wants to eat out again. Follow him to eating in @LeeBreslouer.